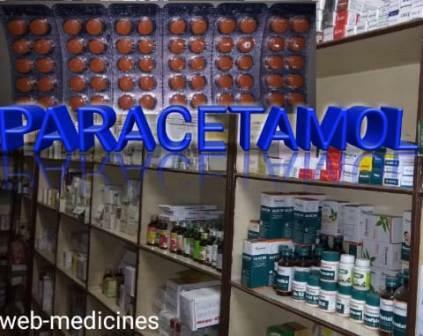 Here are the lists of some Brand name of the Paracetamol Tablets available mostly in India. The company name and the strength of the tablets are also described here. Please, don't use any medicines before consulting with your Doctor or Physician. If you do so, it will be at your own risk. This Blog does not responsible for it. Ultragin 500 Mg (Wyeth), Temfix 500 Mg & 650 Mg (Sandoz), T-98 Junior DT 250 Mg ( Mankind), T-98 500 Mg (Mankind), Restol DT 250 Mg (Frankford), Restol-650 Mg (Frankford), Pyrikap 500 Mg & 650 Mg (Kaptab Pharma), Pyrigesic 500 Mg ( East India), Pyrexon 650 Mg (Wockhardt), Penodin 500 Mg (Dey's), Penitam-500 Mg (Syntonic Life Science), Parazine 500 Mg (Albert David), Paramol 500 Mg & 650 Mg ( Albert David), Parafizz 1000 Mg- Effervescent (Cipla), Paracin 500Mg (Stamed), Paracin Kid 125 Mg (Stamed), Parabig 650 Mg (Winsome), Pamela 500 Mg (Geno), Pacimol XP 500 Mg (IPCA), Pacimol 500 Mg & 650 Mg (IPCA),Nicetamol 500 Mg (Dr. Reddy's Lab), Metaplus 650 Mg (Themis Pharma), Metacin 500 Mg (Themis Pharma), Malidens 500 Mg (Nicholas), Lotemp 650 Mg (Taptakos), Kemcin 650 Mg (Synokem), Fepanil 500 Mg & 650 Mg (Citadel), Febrinil 650 Mg (Svizera H. Care), Febrex 500 Mg (Indoco), Ezee Para 125 Mg & 250 Mg (Nicholas Actis Div), Doliprane 500 Mg (Nicholas), Crocin 500 Mg & 1000 Mg (Glaxo), Cofamol 500 Mg ( CFL Pharma), Calpol 500 Mg (Glaxo), Biocetamol 500 Mg & 650 Mg (Biochem), Bambiti - DT 125 Mg (Dey's), Aminol HS 650 Mg (Group), Almol Forte 650 Mg (Alpha Lab), Algina 500 Mg (Geno Pharma), Lanol 650 Mg (Lyka Hetro Labs Ltd.), Dagmol KID-125 Mg ( Dagon Pharma), Dispar KID-300 Mg (Rekvina Pharma), Dolo 500 Mg ( Micro Labs. ), Admol - Dt 500 Mg (Ethicare Pharma), P- 500 Mg & 650 Mg (Apex Lab. ), Aden 650 Mg (Aden Health Care), Cepal 500 Mg & 650 Mg ( Caplet India Pvt Ltd.), Sumo LER 650 Mg (Alkem Laboratories Ltd.), Parasafe 500 Mg (Strassenburg), P U C 500 Mg (Alkem Laboratories Ltd). The above-mentioned medications i.e Paracetamol are basically used as a fever reducer or painkiller in India though these kinds of medicines are also used in many other cases. So, consult your doctor and use it. If you really need it, your doctor will prescribe it; but don't use it yourself. If you use it yourself, you will be totally responsible for it. This Blog or Website will no longer be responsible for it. This post is written only for information. N.B-Don't use any kind of medicines before consulting your physician or doctor as it may bring to you in critical condition or situation from where you may not be recovered. Good and informative post. I like this post very much.. Please post like this postc this is bery important to us. Good article for every people. It will help you to know the name of some paracetamol name list available in India ..
Good post . Carry on..
Good article I ever read. Thanks. This article will help to find paracetamol tablets bran name in India. Thanks a lot for your precious work. Good and very informative post for the buyier of paravetamol. good article on paracetamol. it will help us to look for branded paracetamol.